Known as Ikwadur in Quechua, one of the main indigenous languages of the region, and in Spanish as Ecuador, the country's physical geography is as diverse as its cultural and linguistic landscape. Students can spend time in the colonial city of Quito, situated in the foothills of the Andean altiplano, the coastal city of Guayaquil, home to one of the largest Afro-Ecuadorian communities, and the Galápagos Islands, a UNESCO World Heritage Site renowned for its biodiversity. 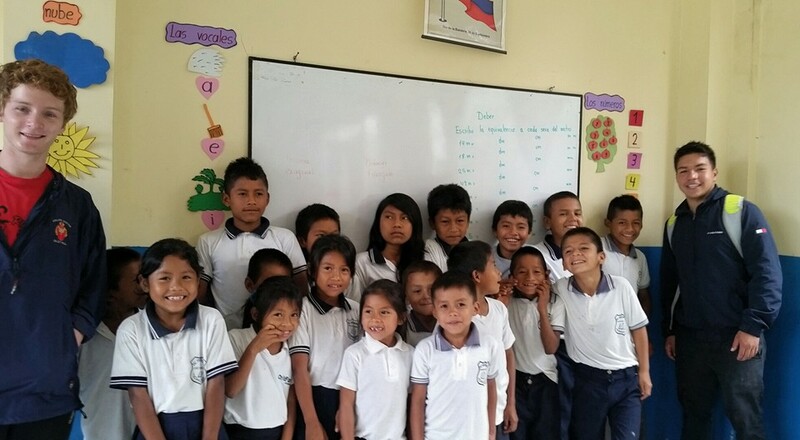 Our partner schools offer a wide range of thematic programs, including language study (IES-Ecuador), humanities and social science courses (Universidad San Francisco de Quito), and global development (University of Minnesota). Please visit the Study Abroad website ("Program Search | Ecuador") for a full list of summer and semester-length options in Ecuador. Before you apply to a program, you must meet with your advisor for the major or minor, and speak with an advisor from the Study Abroad Office. The advisor for all programs in Ecuador is Martha Sadler. 1. Why did you want to study in Ecuador? I had been to Colombia before in high school, and that really sparked my interest in exploring more of Latin America and learning Spanish.I picked Ecuador in particular because the program it offered lined up perfectly with my passion for sustainability and environmental issues; it was a perfect intersection between my two majors, Spanish and Global Sustainability. Ecuador also attracted me because I honestly also wanted to go to a place that I knew very little about before.I wanted to be plopped in a pretty unknown place and discover it for myself with few preconceived notions of what it would be like going in. In a typical day when the group was in Quito, I would wake up, eat breakfast, say “chao” to my host mom and walk to school with the other students in my SIT group. There, we would have lectures and activities related to whichever class we were taking at the time. The lectures were cool; the academic director of the program was very politically involved, so we had guest speakers from all over Ecuador, politicians, indigenous resistance leaders, feminist activists, etc. The lectures always kept the typical school day from being typical, because you never knew who was gonna walk through that door and blow your mind that day. From school, I would usually go home, have a big lunch (lunch being the biggest meal, like Americans treat dinner), or explore the city with my friends from the program. At night, when I wasn’t doing homework, I was usually hanging out with my host brothers, beating them in FIFA, and sometimes hanging out with them and their friends. Overall, it was a good balance between having time by myself (because living in a foreign language is exhausting) and having things to do, having my friends and host family to hang out with and experience the culture. When we first arrived, we were immediately sorted into small Spanish classes based on ability, and for a few weeks we had intensive, day-long Spanish training. From there, since the program was “development, politics and languages”, we took classes (all in Spanish) on development related issues; a lot of them focused on power dynamics between different ethnic groups and how that affected issues of sustainability and social justice. Something that is stressed a lot about the program, and it is very true, is that it is first and foremost experiential. We talked to fishermen in the Galapagos threatened by multinational corporations. We lived in a rural community in the Amazon, with a Kichwa family, and saw firsthand how they lived their lives day to day. We stayed in a national forest threatened by mining and talked to political activists risking their lives to protect a place they love. These are things you can learn at UVa to a certain extent in an abstract way, but studying abroad gives you the chance to see them up close and really understand how they affect everyday people. As a Spanish major, it helped my understanding of the language tremendously; that’s to be expected. On the sustainability side of my studies, it really provided me a more tangible understanding of what’s at stake in a lot of the issues that we discuss. As for research interests, I am currently doing my capstone in Global Sustainability specifically about the same issues that we learned about in Ecuador, about the extraction of natural resources in marginalized communities in Ecuador. It excites me to be able to learn more and engage with a place that I have grown to love so much, and get to understand it even better. In my professional life a few years down the line, it has made me more sure now than ever that I want to live in another country and use my education to do something worthwhile. However, it has imbued me with a definite sense of humility that comes from living something somewhere else and realizing that you don’t really know anything in reality. It has made me want to balance my passion to affect change with that humility in a much clearer way. 5. 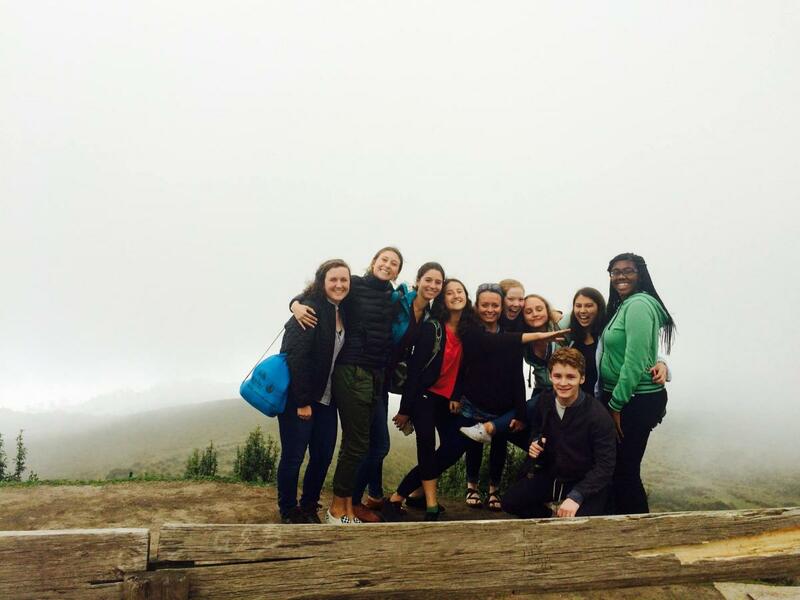 What was the best thing about studying abroad in Ecuador? Wow, you’re gonna get me in my feels on this one… I would say the cliché triumvirate of wonderful things about living in other countries, the people, places and foods. But it’s the people, foremost, that stick with me: the friends I made, both American and Ecuadorean, my host families who made me feel at home…this is starting to sound like an Oscars’ speech. But really, they taught me so much. It’s so easy to get caught in your UVA bubble and think that this is the world, this is it. But I met so many people, Ecuadoreans and college students from around the US, that really have challenged some of my preconceptions and changed my perspective. 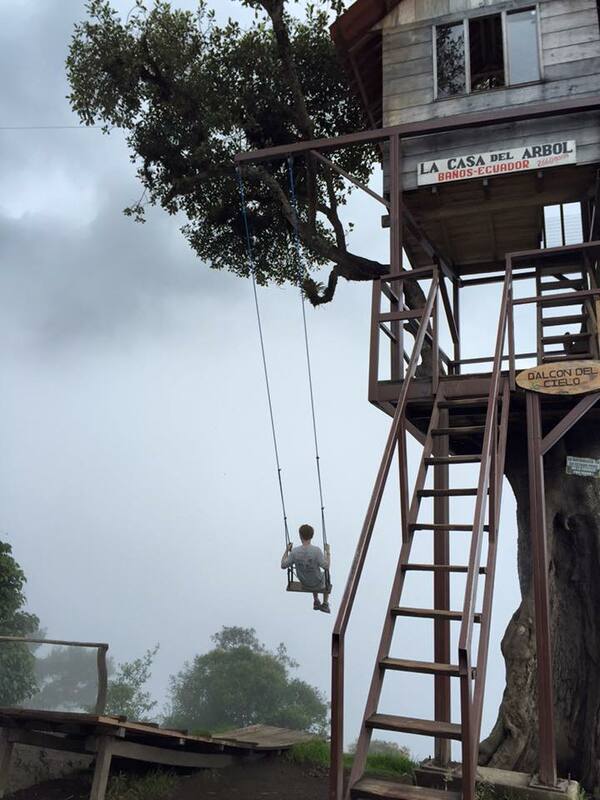 One big thing that Ecuador impressed on me was the importance of family and loved ones. It’s something that I miss about Ecuador, and something that has made me want to bring a sense of that back to the States. 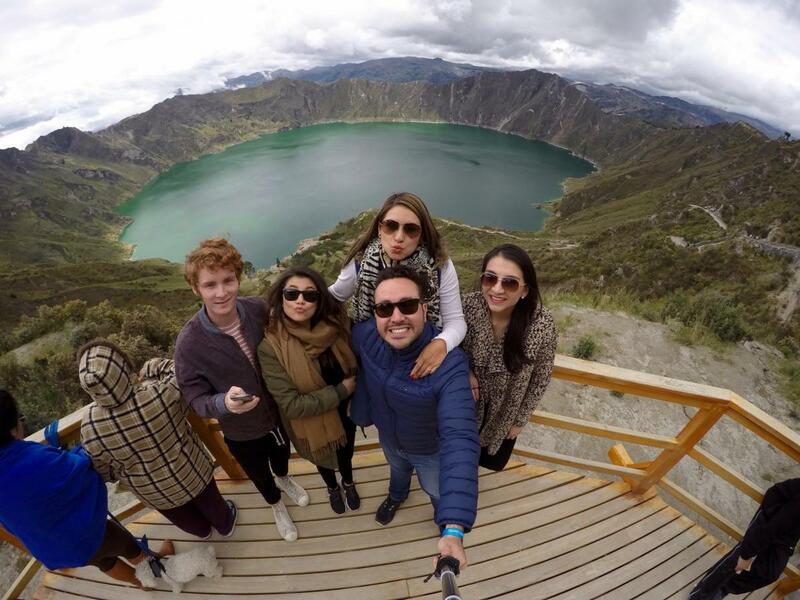 That culture and how it really leads you to be grateful for the people in your life was the best part of studying abroad in Ecuador. What I would want other students to know about studying abroad is that it really is what you make of it. I saw people in my group who hardly knew Spanish going in make incredible progress just because they came in really wanting to soak everything in without reprehension. And it’s not just languages, of course; I just think that’s a good analogy for how one should approach studying abroad in general. Eat the weird foods, dance even though you may look hideously American when you do, speak the language even if it scares you, because when it comes to the end, it will all be worth it. If you going to study abroad in another country, don’t lock yourself up in another American bubble because it feels safe and comfortable. Go out and have your preconceived notions challenged, talk to the person you disagree with and try to understand their way of thinking. It’s so easy to go to another country and see things you’re not used to, and shirk away like, “that’s weird”. It’s easy to dismiss what is different as complete nonsense. What ends up being a lot more fun and valuable is finding out why things are different, or even finding hidden similarities between cultures. But it doesn’t even have to be all serious. Just soak up everything! Trust me, at the end you will be glad you did. I’m not saying it’ll always be easy, but I can promise you it’s worth it.